SDN 1 Gili Indah and Gili Playground is located in Gili Air, North Lombok. One is created to support the other. And yet, both are shaken and need major repair after series of earthquakes shaken the island. 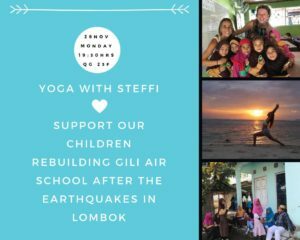 August 5th is the day we were challenged to fix our schools, 7.0 SR quakes shaken our island caused terrifying damage, SDN 1 Gili Indah is the only primary school in the Island so far with more than 240 students. Even before it was damaged the school wasn’t in good condition at all, roofs are leaking, hole on the ceiling, and walls needs to be fixed and repainted. The old house we rent for Gili Playground wasn’t in a good condition either since the beginning. This condition leaves the students in trauma, refusing to study in in the classes. On October 4th we had a team of engineers and architect to come and check the schools, marking which rooms is safe and which rooms are not, noting down what need to be fixed. A week later, we had the result that most of the classroom in SDN 1 Gili Indah need to be fixed by filling the cracks, then all the fences and gate need to be rebuild. On other hand, the building we rent to have Gili Playground had major damage where all the roof and some walls need to be taken down. Gili Playground is currently using one of our friend’s place to keep it going, it is beautiful how the community helps each other at situation like this, but we know better we can’t use her place forever. We are urgently looking for donation. All of the money will be donated to Soraya Foundation who will execute the repairmen and construction of both schools. It was a formidable task, being given a task of renovating a school broken down due natural disaster, lack of funding and negligence of government. We haven’t started the work and need urgent need help. Please help us give more than 240 students a new beginning. Any amount to help reach our goal will be greatly appreciated. We’ll take photos and videos of the school and students, so you can see exactly where your generous donations went! 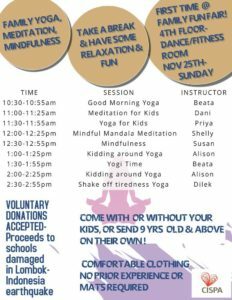 A place where adults and children can come for help, guidance, and education.